You don't want to lose out on top candidates! That’s why you’ll need our campus recruiting program checklist to help broaden your recruitment program. Campus recruiting requires a much more targeted approach than a broader recruitment program. 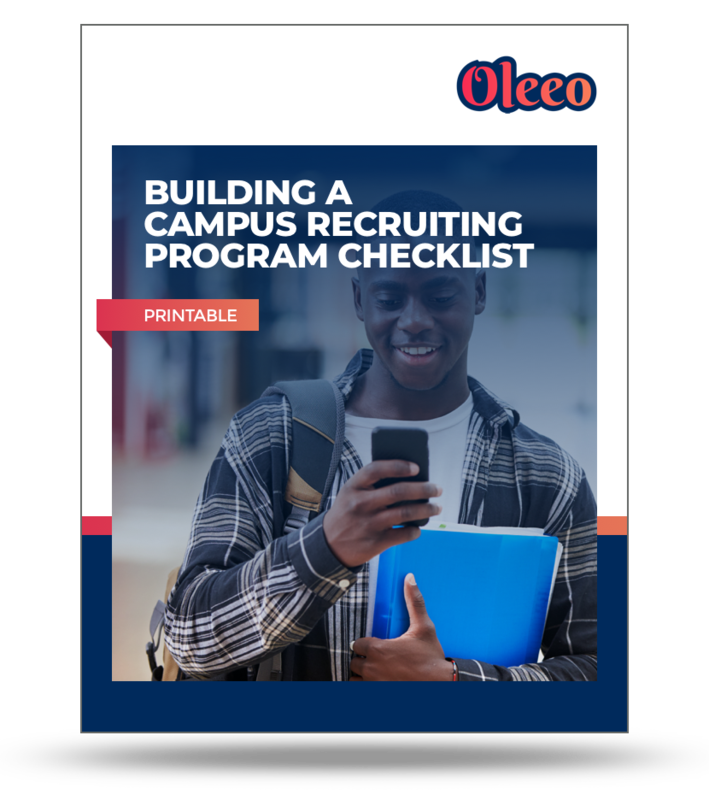 Before building a specific program to drive new college grad hires, you’ll want to follow our helpful guide checklist. Make the case for program funding to your management and executive team. Learn the components that make your program successful and how to audit and prioritize them in implementation. Gain expert tips for carrying out your strategic plan!